Whereas most innovation throughout human civilization has captured natural phenomena to invent tangible product offerings, with the separation of information from matter and the rapid growth of global communications networks, more and more innovation will be intangible, digitally enabled, and created around social phenomena. 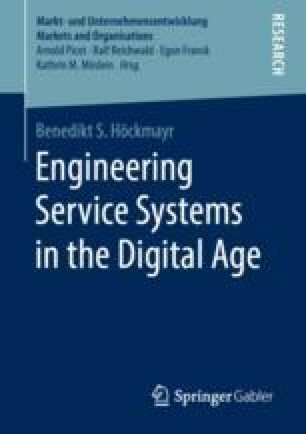 Novel innovation opportunities thus encompass new combinations of digital and physical components to create novel market offerings and evolve from the joint action of a network of actors ranging from suppliers and partners to customers and independent inventors—that is, with a network-centric focus (Barrett et al., 2015; Lusch & Nambisan, 2015; Tilson et al., 2010; Yoo et al., 2010). Against this backdrop, applicable perspectives and approaches that support the development of according novel multifaceted offerings will be dealt with in the further course.